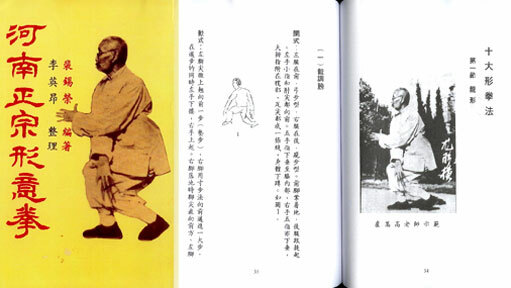 More about Xing Yi style... . 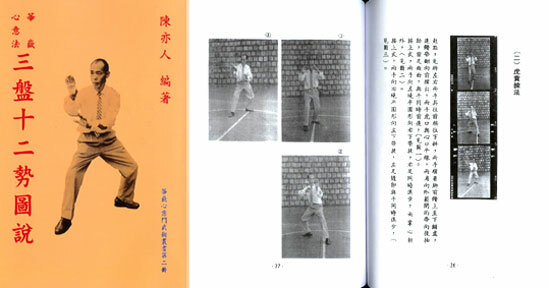 This professor, Lin Jian Hua, is a proponent of creating a shape which leads to a strong body and Xing Yi skill. There is probably no better style on earth for advancing the relationship between shape and strength. Xing Yi, being a battlefield art and a true MARTIAL art, is firmly planted in the basic military adage of “holding your position.” As in western boxing, a cover-up is worth a thousand blocks. Professor Lin presents a number of independent movements that start soft and then create a balanced, strong formation. The soft and relaxed movement that precedes the shape helps you to seek the right posture. This is a good presentation of a Xing Yi regimen that might, theoretically, be a useful approach to any martial training. This book has an unusual history. When the second edition was ready in 1932 a Japanese bombing run blew up the East Commercial Press and libraries, destroying China’s largest book collection with 300 000 volumes. The section edition never saw the light of day. Bao Ding was widely studied in martial arts including: Tan Tui legs, Shaolin boxing, Shaolin Fist, Plum Flower, Xing Yi Liuhe boxing, ChangQuan Taiji, Taiji Quan Mian, internal strength thirteen sections, white tiger whip, Tigers capture Sheep Saber, Winding Dragon stick, Yang Staff, Diliu, Spring and Autumn broadsword and Baoding’s north-south. 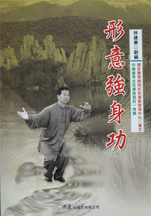 This book has unsual Qigong practices and poses. Sometimes the author looks to be wearing his pajamas, sometimes reclining on a couch. There are also some illustrations of instruments for mild Iron Body work. Many of the poses resemble drawings of monks we have. Traditional characters with large font. Hundreds of photos, many of them shots of applications, punctuate this book. In addition the 12 Animals are shown in short sequences. The Five Elements Form is demonstrated with applications. Standing exercises and basic movements are also discussed. A very solid piece with pretty good photography and lots of information. The Yue style has many questions attached to it. Is it the precursor of Xing Yi? How authentic is the style or is it the one some have claimed to preserve? How much has been added on through the last 1000 years? Which of the many styles is the real Yue Family form? One thing that everyone admits is that the Yue style has a strong emphasis on grappling and throwing. Being that Yue Fei was a great general it only makes sense that battle field actions would include throwing and locking versus the subtle skills of, say, point striking. This is the largest text we’ve seen on the style. The accompanying DVD is half documentary/testimonial and half instruction with a strong emphasis on usage. We get to meet the instructor’s family, his students and see him do calligraphy. Then there is a section on the Push Hands of the style. 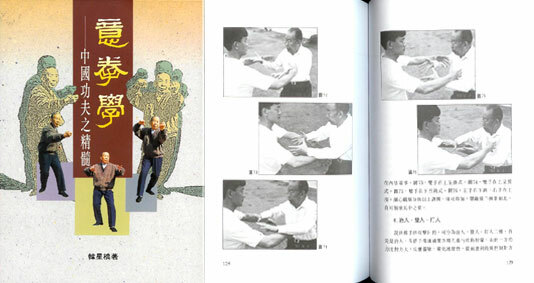 A demonstration of Yue Crane Boxing and then a long section of Chin Na with a distinct emphasis on finger controls. We like the China Na and suggest that these seemingly simples moves, a mark of Yue style, have a finer level of manipulation going on. 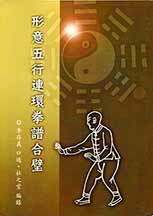 A book by a famous practitioner of Xing Yi. This edition has adequate line drawings obviously not by a professional artist (37 of them). The first half of the pamphlet covers introductory remarks about the practice of the art. Li was known as "Single Saber Li" and was a close friend of Cheng Ting Hua of BaGua fame. He was a student of Li Qi Lan for ten years. Li was a participant, along with his saber, in the Boxer Rebellion. 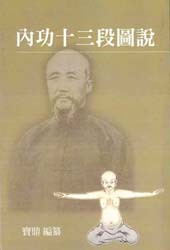 A book by the famous Xing Yi practitioner. This edition has many line drawings obviously not by a professional artist but with a certain naive appeal. 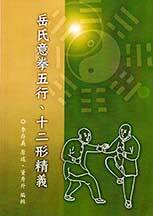 Sections include the fostering of Qi, San Ti posture, Xing Yi theory, the cycle of the elements, Yue style's essential ideas, practice of the 12 shapes, mixed fist form, applications of the shapes and key points. This is book in handwriting style of traditional Chinese characters with a loose, open calligraphic form like notes scrawled along pages. The topics discussed are seminal to the fundamentals of I Quan such as Practicing Qi, Using Stillness, Issuing Power etc. 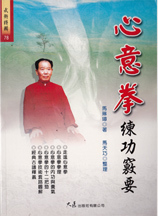 This book comprises mostly the founder Wang's writings with very few pictures mostly demonstrating personalities and stances such as the Primordial Standing and Coiling Dragon and Conquering Tiger Stances. This edition is also made interesting by being edited by that well known compiler; Li Ying Arng. This series is done with pride. 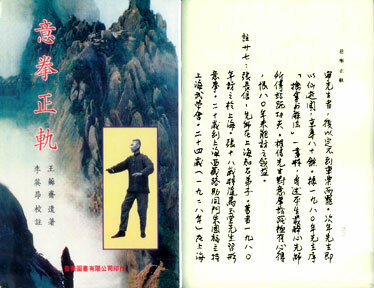 In this case the book is a series of essays, without illustrations, on the art of Xing Yi. It covers footwork, body arts, some movements and general principles. Though traditional essays there are a few introductory remarks in a more modern vein. A candidate for translation? This is a hand written text with small but relatively understandable illustrations. A well known Xing Yi practice between partners it also goes by the name "Five Element Canon" or "An Shen Pao." All names are given for the movements which are divided into "A" and "B" sides. This book actually presents a single person set from LIU HE BA FA styles which, in this context, is related to Xin Yi (both are considered "internal" styles). The Xin Yi in question here is called Hua Yue Xin Yi Liu He (Hua and Yue are two of China's five sacred mountains). The photographs demonstrating this form are arranged like film strips implying that there is a movie of this set somewhere. Also a section of notes on Xin Yi style and Liu He Ba Fa's heritage in the twentieth century (such as Chen Yi Li) and its originator Chen Xi Yi. See more about LiuHeBaFa. 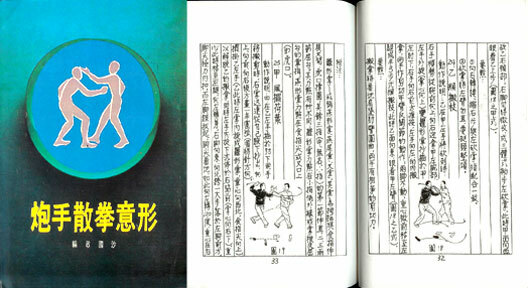 This is a Xing Yi book with some charming but slightly odd illustrations. The content though is Henan Xing Yi with sections on the Ten Animals, Tiger Dragon Boxing, Single "Ba" form, Chicken Form big Split, Crossing 3 Start Boxing and others. The photographs included are of Lu Hao Gao both young and old. Lu derived his Xing Yi from Yuan Feng Yi. Xin Yi Men Mi Ji Xin. Xin Yi (Shape of the Mind Boxing) goes under a number of names including the famous Liu He Xin Yi. It is also known as Henan style Xin Yi Boxing. This is a good book on the subject with loose but clear illustrations. It shows three sets: "traditional" Xin Yi, Xin Yi Sword, and Shaolin Style Xin Yi. It also shows applications of the movements, in illustrated form, and talks about the background of the style. Xin Yi Liu He Quan. 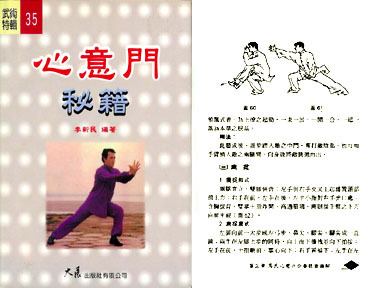 Here is a book on one of the most formidable styles associated with Xing Yi, namely Six Harmony Xin (Heart) Yi boxing. Kept for many years among Muslim practitioners you will see here a very dynamic form of the art. Not only does the indomitable George Xu show applications but he had included wonderful full page photographs of his instructors. An excellent book in traditional Chinese this is the product of a dedicated and now world famous instructor who has said, "learning never ends." George started training in 1966. In 1987 he won a gold medal in Shanghai for his interpretation of Chen Shi Lao Jia. We also sell videos of Mr. Xu and consider him one of the top practitioners to come to the west besides a tireless promoter of the martial arts. A fine book on an exceptional art. 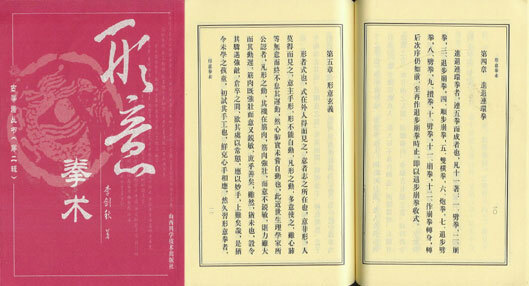 A reprint of a classic text on Xing Yi. Much discussion. Many old pictures - quite clear - demonstrating Five Elements postures, two person transformations and Animal modes. Definitely a text to have in one's Xing Yi library. Foot patterns diagrammed. Very nice old photos. This oversized-text is produced by a student of Chang Hou Nian. Not only are the 5 elements of Xing Yi represented but actions and applications of the big broadsword, the two-handed straight sword and the Xing Yi staff. The appendix has one of the most complete genealogies of Xing Yi we have ever seen - going on for pages . A nicely laid out and clear book. Xing Yi Chuan Pu Wu Gang Chi Yan Lun. This is a reprint of a very early edition of a book on the Xing Yi Five Elements boxing. The large, clear drawings from the time are obviously taken from photographs and are well done and charming. The text is hand written in large, bold calligraphy. Formulas like "7 Characters and 21 Methods" are given. Xing Yi scholars will find this a useful text. See this in translation. 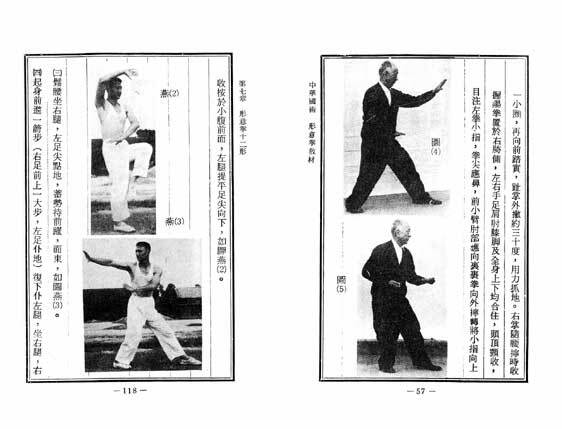 January, 1930 Shanghai world publishing house This is one of a series of books that helped change the face of martial arts publishing. 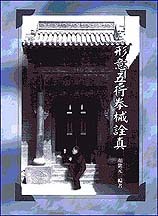 Jiang Rong Qiao edited and compiled this excellent book on the Five Mother Fists of Xing Yi. There is a tremendous amount of commentary on each of the Five Fists going into detail on every action with a decent sized photo showing the correct posture. Each Element is accompanied by a "song" to summarize the key points for each fist. Contents include: Preface, foreword, Mother Fist comprehensive over view. 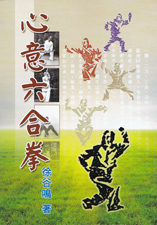 Eleven chapters of details including history, the Northern and Southern schools, the meaning of Xing Yi, Primal Chaos, Two Aspects of Yin and Yang, The Three Powers, the Four Shapes, Xing Yi "songs", fist Drills and songs for each of the Five Elements, Notes on the mixed elements with appropriate songs, Linking the Fists with special songs. There is much material here for Xing Yi research. The photos are excellent though old. The text is printed beautifully and, though traditional Chinese, much of it is easily translated.